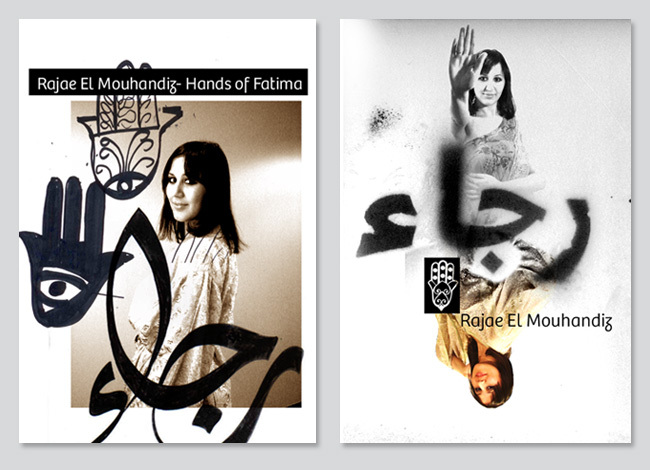 For the Amsterdam based Dutch Moroccan music artist Rajae El Mouhandiz, Tarek Atrissi Design developed a series of posters and promotional items that defined the entire visual language adopted by the artist as a personal brand and a graphic image. 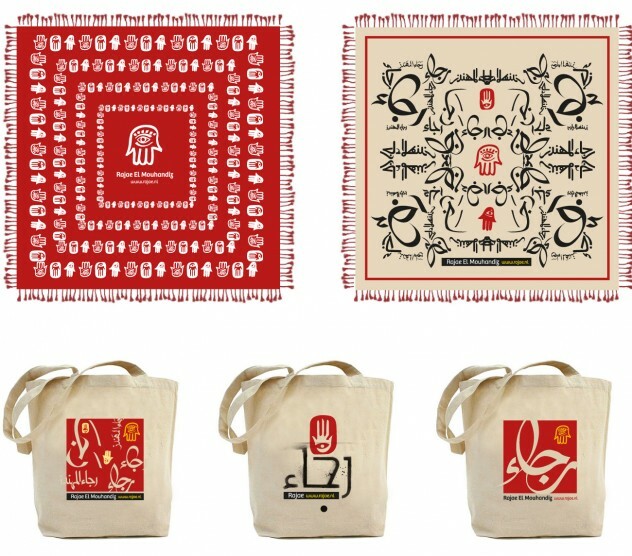 These items were designed together with the two albums launched by Rajae El Mouhandiz and designed as well by Tarek Atrissi Design. The graphic solution adopted for this project consisted of combining type and images: Seeking dynamic ways to integrate typography together with the body movement of the artist. 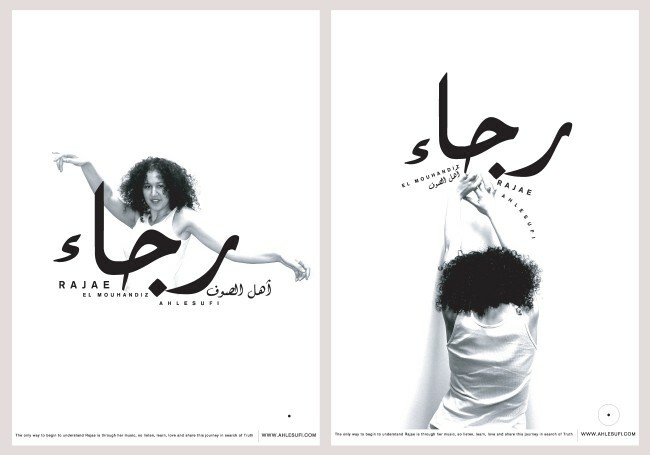 Both Arabic calligraphy and Latin typography merged together with the photographic images to create strong compositions with an eye catchy graphic impact, particularly for the posters design. The first series of posters was limited to black and white; while the second series that was printed together with a second album experimented further with textures, light colors, and rough hand drawn illustrations. The promotional items and giveaway designed were simple and consistently experimented with the usage of typography and illustrations to create the same recognizable graphic visual language adopted by the artist as a personal visual identity. The posters created for Rajae were featured in countless design books, magazines, and blogs around the world. 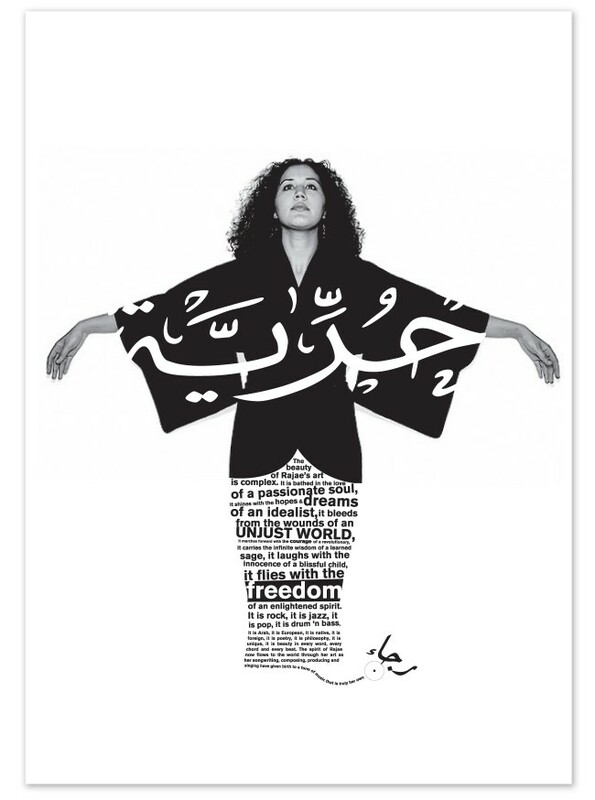 The “Freedom” poster emerged again during the Arab spring events and was used and circulated widely in social media across the Arab world as part of advocating women’s freedom and power.